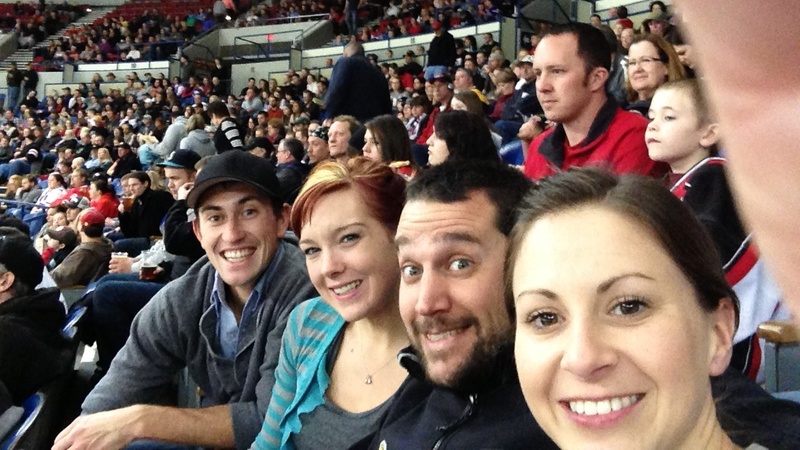 Tonight Emily and I joined Sarah and Adam for a Winterhawks game at the Rose Garden Arena. We had never been to the Garden before and haven’t seen them in a few weeks so it worked out great. They came into the city early and I was able to get a beer with them around 4pm at Lardo before heading over to the Spirit of 77 bar to wait for Emily to drive in to the city. We were a little late to the game but I was thoroughly entertained by their unbelievable story of their friend Bill who apparently is a super-genius and the news of Sarah leaving her job for bigger pursuits. Unfortunately, the Winterhawks lost big to the Tri-City Americans but we had a good time and good beer with good friends.